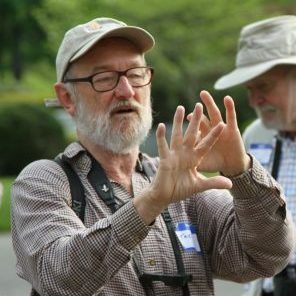 Director of Landbird Conservation Trevor Lloyd-Evans shares the results from the 44th annual Plymouth Christmas Bird Count. Records include 15 Eastern Screech and 5 Great Horned Owls, plus a rare sighting of a Summer Tanager. Again we were lucky with pre-dawn owling like a colder version of last year. Very little cloud cover, calm, and a frosty 11°F at 5:15. Techniques varied from tapes to cold human lips, but we set another record with 15 Eastern Screech and five Great Horned Owls. There was a dusting of snow (0 – 1”) on the frozen ground but no precipitation as the wind picked up to maybe SE 10 mph on the coast and a high temp. of 23°F. Still water was mostly frozen except in large bodies of water and most running water was partly frozen. Water birds in general were concentrated on larger inland ponds and landbirds at the sparse running water and at feeders. The final total of 116 species in 56.5 party hours (plus Pied-billed Grebe and Rough-legged Hawk in count week) was our second highest to the 117 in 1977. Total numbers of birds were a bit up on recent years at 18,205 despite a non-flight year for irruptive passerines from the north. As noted in previous counts, declines are driven by diminishing wintering Canada Geese, American Black Duck, Common Eider, and large gulls in the harbors. Also we have lost the hordes of gulls and starlings at the open garbage dumps in “the good old days” before incineration and recycling! Some other winter passerines are probably just declining range wide. 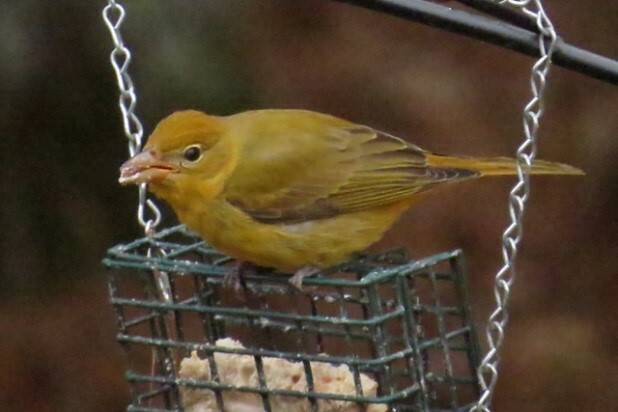 A Summer Tanager at a feeder (thank you Lisa Meeks) was new for this circle and thus our all-time 193rd species. Twelve record high species counts this year included Gadwall (232), Wild Turkey (150), E. Screech-Owl (15), Yellow-bellied Sapsucker (3), Downy Woodpecker (99), Hairy Woodpecker (36), Peregrine Falcon (3), Black-capped Chickadee (852), White-breasted Nuthatch (123), Marsh Wren (4), Song Sparrow (374) and N. Cardinal (288). 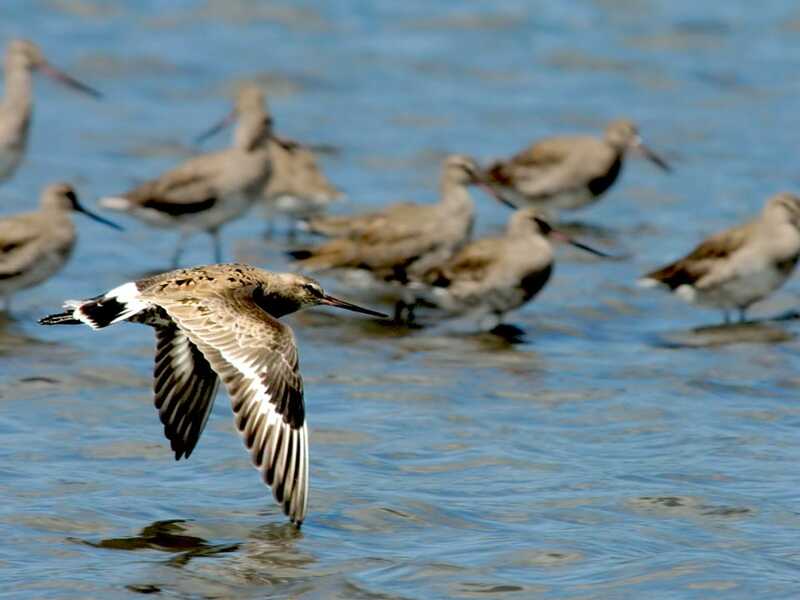 There were no record low species counts this year. 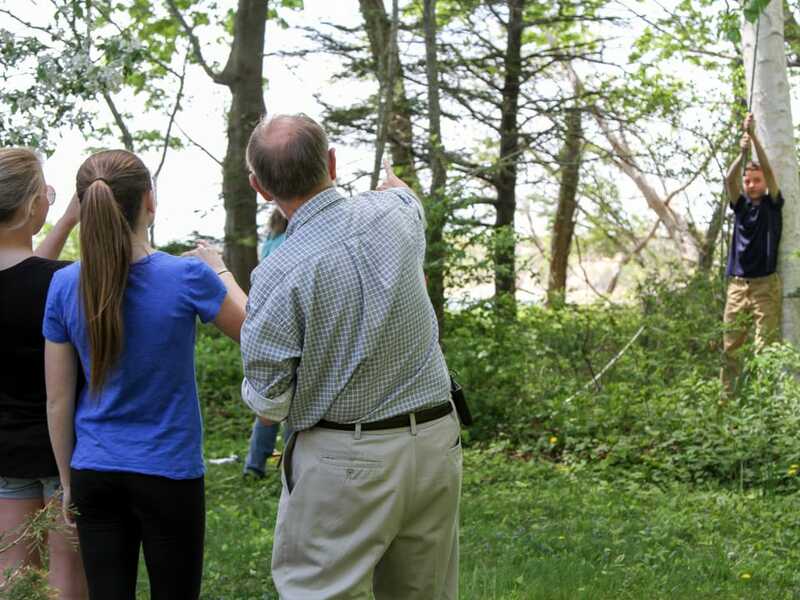 Increased use of the popular “Screech-Owl plus scolding chickadees” tapes undoubtedly boosted our owls, chickadees and other thicket passerine birds. Whether this merely improves our detection of species we would be “pishing” for anyway, or artificially inflates our numbers is a matter of some debate. It will make future counts a bit less directly comparable to 1970’s counts; but so do more experienced birders, better field guides, and modern optics—you decide. 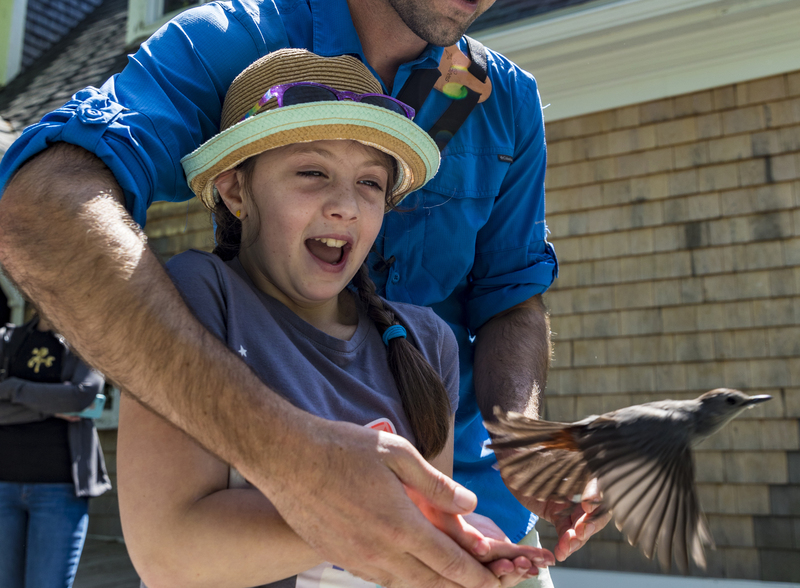 Apart from the Summer Tanager, all the birds tagged as “unusual” came from the newly-opened and professionally restored habitats at Mass Audubon’s Tidmarsh. This area attracted our second Greater Yellowlegs record and third Clay-colored Sparrow since we started counting in 1974. Manomet’s Holmes Farm produced our second record of a Lincoln’s Sparrow. Many thanks to all the participants in the cold, but not too windy outdoors; plus the feeder watchers (31 total participants), who contributed to this year’s count of 18,205 birds of 116 species. May your favorite coffee, tea and hot chocolate shops always be open early and may the evening-tally stewpots never run dry. I hope we see you next Christmas.